During 2015, a coalition of community organizations came together to form Bester Community of Hope. Since that time, the organization has brought to the Washington County area a series of nationally recognized speakers, offering trainings and models for addressing community needs and creating a positive social impact. The speakers are Geoffrey Canada, Jim Sporleder and Dante DeTablan. Keith Fanjoy, director of Bester Community of Hope, said the concept of sharing ideas in a practical way is key to the mission of the group. “We make the biggest impact through working with partners to get clarity around our shared beliefs,” he said. Canada is a leader in the field of social reform nationally, according to Fanjoy. 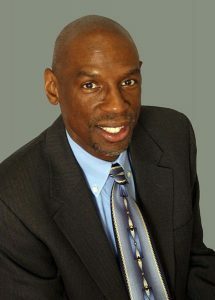 He is renowned for his pioneering work helping children and families in Harlem, N.Y., as president and chief executive officer of Harlem Children’s Zone, and for his involvement with Promise Neighborhoods, a program designed to improve outcomes for children in distressed communities. Canada has been named one of Time magazine’s 100 most influential people and one of Fortune’s 50 greatest leaders. “He is a voice that I think Hagerstown and Washington County can learn a great deal from about looking at insurmountable challenges in a very different way. Not looking at the problem and saying how unsolvable it is, but in maybe thinking about what it would take to make it happen, no matter what the obstacles are,” Fanjoy said. Sporleder, best known for Trauma Informed Consulting, teaches that while traumatic experiences in childhood statistically result in increased behavioral and psychological risk factors, those factors can be offset by the presence of one dependable and caring adult. His service as principal, along with that of staff at Lincoln High School in Walla Walla, Wash., is featured in the film “Paper Tigers,” which was previously screened by a Hagerstown audience. DeTablan is vice president of United Way Ben Franklin Center at Brooklyn/Curtis Bay which offers programs in education, health, housing and employment needs in south Baltimore. San Mar Family and Community Services, based in Boonsboro, began organizing a community improvement effort during 2014. That effort formally began as Bester Community of Hope in the South end neighborhood. San Mar had posed a question to institutional leaders across Washington County, Fanjoy said, asking where, geographically, were the greatest amounts of needs, as well as momentum and opportunity for impact. Bester Community of Hope’s first large scale training in 2015 was about Trauma Informed Care. “It’s really the idea and practice around taking the time to listen and understand the experiences of the people we serve,” Fanjoy said. Other Community of Hope events focused on Building Resilience and Healing Communities. Pervious speakers have included “Paper Tigers” director James Redford, and Lonice Bias, mother of deceased All-American basketball player Len Bias. Bester Community of Hope is part of an effort based in Seattle, Wash., and is one of 14 national sites receiving funding from Casey Family Programs. Part of that group’s goal is to reduce the number of children placed outside of their home. Funding for speakers at area trainings is underwritten through local and national philanthropy and support. Sources include the Community Foundation of Washington County; Washington County Department of Social Services; Casey Family Programs; Alice Virginia and David W. Fletcher Foundation; and other strategic partners, Fanjoy said. Roughly 450 people have attended past Bester Community of Hope trainings. Collective Impact will be the group’s first event at The Maryland Theatre, and Fanjoy is hoping for as many as 600 people to participate. It is a goal of Bester Community of Hope to remain on the “very cutting edge of understanding the most effective tools and practices to make a strategic impact in the lives of kids and families,” Fanjoy said. Measurable success happens as other organizations take lessons from community trainings and implement them in their own work to improve the community. This is happening with participating groups, he said, Hagerstown Area Religious Council among them. Challenges of each community are unique, and there is not one-size-fits-all approach for success in solving problems.